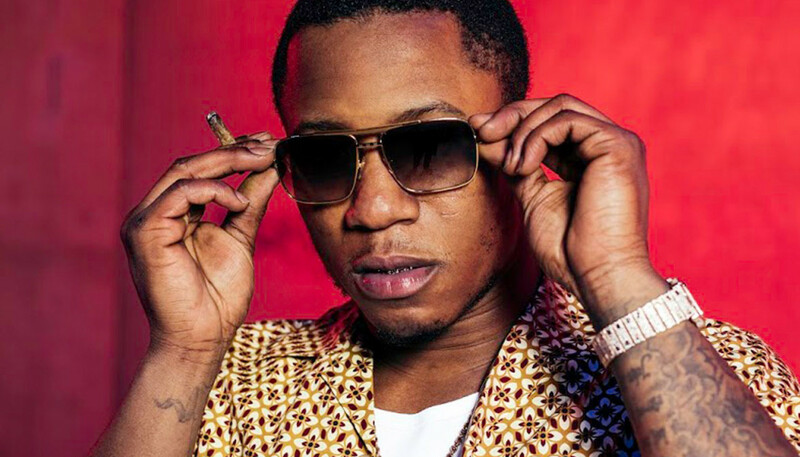 With his hard, choppy sounds, UK rapper Suspect’s been making waves the past couple of years - not least when his track ‘Fbg’ was picked by none other than Frank Ocean to play on his Grand Theft Audio radio station. Just back from tour with British national treasure Giggs, and ready to release his fiery new tape Still Loading, we caught up with Sus’ to hear about aspirations, GTA and why he’s not yet fully loaded. You're just back from tour with Giggs, how was that? I didn't think it would be stressful but the grind starts to kick in - like I was enjoying it, then halfway through you start realising what you're doing, that you're on a mission to spread the music and get people to know that you're actually out here. It was overwhelming. Countries I've never been to before, some people who had never heard of me. Getting pushed right in on that end - it's exciting, but when you're in it it's crazy. People think 'sick, you've just been touring', like it's a holiday but they don't realise it's actually work. To go back a bit, how did you get started with music? Music was always part of my life - all types of music. But how I got started, it was probably secondary school. And even then it's not something I was headstrong about or thinking, 'I'm gonna be a musician', I was just doing me, trying to be the best in the room. You've got the whole city on your side, how are you just gonna say 'f*ck music'? So at what point did it go from you doing it for fun and deciding, 'Ok, I could give this a shot'? Not really giving it a shot, but I was just making so much music in my spare time. I used to drop videos on YouTube and got a lot of support from that. And then I just didn't feel it anymore, I had issues and other things that meant more to me than music. I ended up coming back to the studio, and making stuff that showed my growth. Before I was rapping about where I was at, but now I'm rapping about where I'm at, and my music sounds different. There are people out there who are fully supportive, and I feel like now letting them down is not something I want to do. Maybe back then it might not have meant so much to me, I was like 'f*ck music' or whatever, but now it's like, how can you do that? When you've got the whole city on your side, you're just gonna say 'f*ck music'? I can't do that. So now I'm just going harder and harder, seeing how hard I can go really (Laughs). It's as simple as that. In general right now there's such a healthy scene in the UK, but to our ears the music you make has more in common with stuff that's coming out of the States? Exactly, me personally I don't look at the UK. Obviously the plan is to take over the UK, but I'm gonna play beyond the UK. You can be big in Europe, as well as the UK - I don't think a lot of people do that, but that's what I want. Reaching new spaces that I've never been before. Speaking of reaching new spaces - it was crazy when Frank Ocean picked your track 'Fbg' for his GTA radio station. Yeah that was nuts! I couldn't tell you to this day how he found me. What the f*ck!? That was a life-changing moment for me - I don't know if it was God trying to show me something, just the universe trying to let me know - 'This is your time' or something. I don't know! (Laughs) Mad! And then GTA? That's one of the biggest games in the whole world! I remember that from my childhood, my cousin used to copy the game onto a blank DVD so I could play from my PC - this was before it got on Playstation. Man has been banging GTA, so for that to happen, I just thought 'What the f*ck!'. And they paid me! I'd have done it for free. The promotion off that has been crazy too - even touring Europe, people came up to me talking about GTA. That's something that language can't separate - we all play that same game. I could talk about GTA all day. For today, the main thing we're here to talk about is Still Loading. 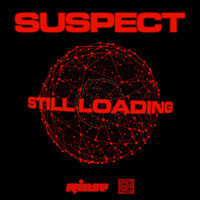 From the title we're guessing it's directly connected to your last release, Loading? It's a sequel. I haven't listened back to Loading and thought 'Okay, Still Loading's gonna catch up here', I haven't tried to design it. It's literally just me still loading, the way I see it. You can hear that I'm perfecting my style and you'll hear the growth and hear me actually owning my lane. I don't even know what to say - it's so hard! I'm just eager for everyone to hear it already, it's long just keeping it in. I'm making so much music right now, and it’s all crazy, but I have to do it in stages so everyone can see the growth. Right now I think I'm so advanced, but I'm not gonna go back to Still Loading and change tracks or whatever - because those tracks are still certy and still meant for that project. And is there a next step where you're loaded? Definitely, but it's funny because I'm going harder than everyone else, but still saying I'm loading. I'm doing 101 things, but still saying I'm loading - but my point is, when I'm loaded you're gonna know about it! I don't give people the details, but behind-the-scenes man's still grafting, cos man ain't really where man wants to be just now. There's still loads to do, loads more spaces to reach. So how can I say I'm loaded? But other people will be like, 'Come on, you must be loaded by now cuz', but nah! Cos where my head's at, the stuff I really want to do with this space I've found myself in people can't even comprehend. It's gonna be mad. How did you start working with Giggs and Skepta? Giggs is my proper bro from the streets, he's one of my main inspirations. Seeing his albums come out, seeing his picture on the sides of buses - being able to see my brothers who are so relatable to me, who have been through the same stuff I have but have been able to turn that into victory. Being able to buy a house, and do things legitimately, you know? All those things inspire me, and let me know there's a way out - that I can acquire all the stuff that I want without ending up looking over my shoulder. I can just be happy in life, and make my mum proud, because I see how proud their mums are! And they're big boys, and it's taken them so long to switch up their lives or whatever - but seeing their mums so happy now, sh*t like that's priceless. I sometimes think after all the sh*t I've put my mum through, maybe I could get her her own house, sick things like that. All those things I'm thinking about constantly, and those add to my drive. Even with my track 'The Tour Bus' I talk about that "trying to get mummy a castle". It's the truth, not just words for the sake of rhythms and rhymes - these are things that constantly drive me. It's not a joke. Now I've found myself in a space where kids are looking up to me, and it's not even what I want - well, maybe in the long term it is. But right now, and they're showing me so much love, I feel like I have to be careful about what message I'm giving to these kids. So now that's another stress - my little man's only two, I don't know what he knows or what he's onto me about right now (laughs) - and obviously I think about the future, but it's not something I actively have to worry about - 'What if he hears and understands?'. Whereas these other kids, they understand everything I'm saying. So I'm still coming to terms with the space that I'm in and the power that I have, and learning the best way to use all of that. I'll be real, it's crazy cos I've been doing a lot of interviews all in the name of Still Loading, but I don't really care. Sometimes when I talk about it in an interview it does refresh my brain, it's a good exercise for me to remember the focus. But I'm not dying for anyone to know what Sus' is on, or what's the next move, or how Sus’ does anything - I have no interest. Just want them to know the Still Loading project is gonna be sick, I just want everyone to listen to it at least once. But I'm not gonna be stopping all year, all summer, just gonna be putting out bangers on bangers. That's the plan. I'm very excited.